Learn Have You Ever Seen the Rain by clicking above! If you listen to the original track, you’ll notice there there are 2 guitarists playing, a base guitarist, a pianist, a drummer. This means that getting exactly the same sound from just 1 acoustic is not possible, but I really think this cover does a good job at recreating the general feel of the song. You’ll be learning to play the entire song, so you’ll even be able to back a singer, which is great fun. Of course, playing along with the original version is recommended as always. Our Have You Ever Seen the Rain guitar tutorial will teach you a bunch of very useful techniques that you’ll be able to use in thousands of other songs as well, such as the slapping strum technique and syncopated strumming. 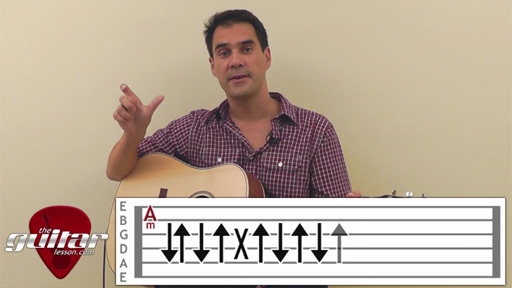 I really do recommend you learn this one if you are into the acoustic guitar. I saw fogherty perform this a bonnaroo a couple years back and it was fantastic. Ive always been a big CCR fan. this is a great lesson. great post keep up the hard work.